We are not modeling a Northern. However, we do offer a few selected castings for the Union Pacific FEF series 4-8-4 Northern. Shown below are our scale 80" FEF-2 & FEF-3 driver castings. 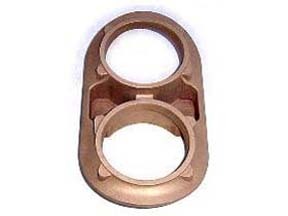 These driver castings are designed to be machined to 10" diameter on the model. 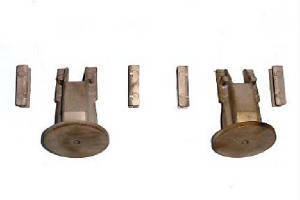 We also offer scale 77" FEF-1 driver castings which are not shown. 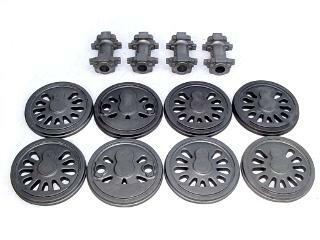 These castings can be machined to any diameter from 9 5/8" up to 10" on the model. Please inquire for more information. We also offer our Centipede Tender Castings. Please visit this page again soon. See also our 4-8-4 Northern Engine Drawings, and our 23-C Centipede Tender Drawings. Click on photo to see enlarged detail.